House-made BBQ Sauce, Applewood Bacon, and Bourbon Onion Rings lands Bailiwicks on the list of Gourmet Burgers in New Hampshire. Get with the gourmet times. The newest trend is the juicy, extravagant, non-traditional burger that includes all the fix-ins ones heart could desire. Look no further than some of New Hampshire's restaurants for a burger that takes the term gourmet to another level. 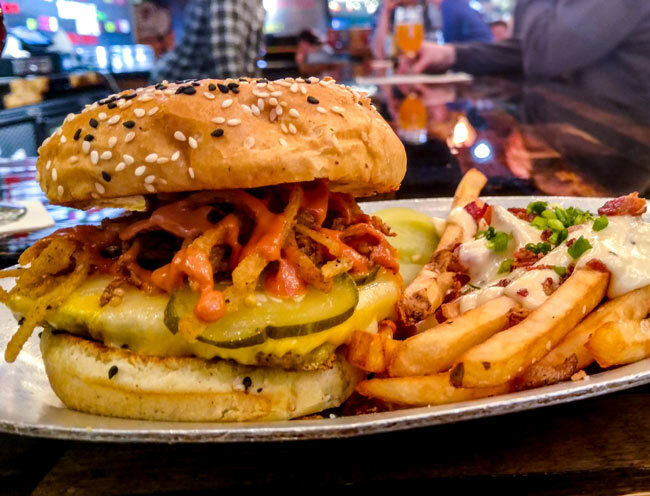 The revolution of the burger starts at Hop & Grind, a place known for their made from scratch recipes, extensive beer menu, locally sourced ingredients, and of course the burgers. Order their classic Hi-5 Cheeseburger or the Bomb Diggity with Peppers, Onions, Mushrooms, Gooey Cheese, and Grilled Salami for a taste of what everyone is talking about. Tuckaway's burgers are created with only the finest Angus Beef and has been awarded for their unique take on creating burgers that extend beyond tradition. Featured on Food Network's Diners, Drive-Ins and Dives, the Whole Tuckin' Farm burger is Guy Fieri approved and made with their Classic Tavern Burger, Fried Chicken, Applewood Bacon, Cheddar Cheese, and Tuck Sauce. All preconceived burger expectations are proven wrong at Hop & Grind in Durham, NH. Quick service and lasting flavors landed Five Guys a spot on our list. No gimmicks here, just a real good burger. Their fries are made with fresh cut potatoes and cooked in 100% peanut oil with no cholesterol. Five Guys' passion extends beyond burgers. Select locations offer handspun Vanilla Milkshakes with mix-ins like Bacon, Salted Caramel, and Cherries. Build the burger of your dreams at Woodstock Station Inn & Brewery. Choose from toppings like Alfredo Sauce, Drunken Onions, and even Kimchi. We recommend ordering the Plebian Style with Buffalo Mozzarella, Roasted Garlic, and Sauteed Mushrooms or the Chef's Mess with Brie, Pulled Pork, and Cole Slaw. 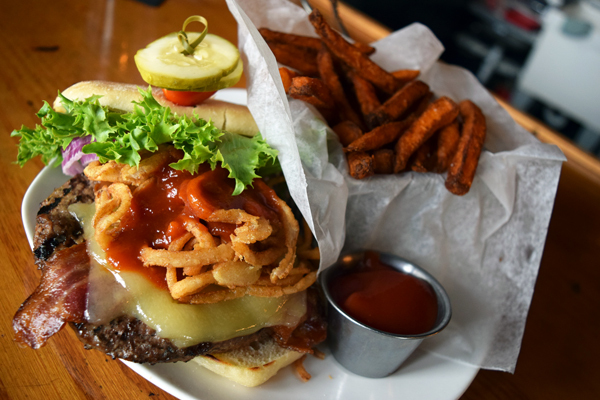 The Barley House in Concord and Hampton have a menu of unforgettable burgers that transport you to a pub in Europe. For a taste of Ireland, try the Dublin Burger with Peppercorn Charred, Whiskey Gravy, Creamy Bleu Cheese, Crispy Onions, and the Korean BBQ Burger with Soy Ginger BBQ Sauce, a Beef Patty, Pickled Cucumber & Carrots, and a Spicy Lime Mayo. For a burger at all hours of the day, visit the Red Arrow Diner. With creatively named burgers like the Adam Sandler and the DinahMoe, diners will be thrilled to find a mix of traditional toppings and gourmet toppings offered on the menu. Eat like a champion and order off the Burger Bar Challenge Winning Burgers for a meal created by local burger aficionados. 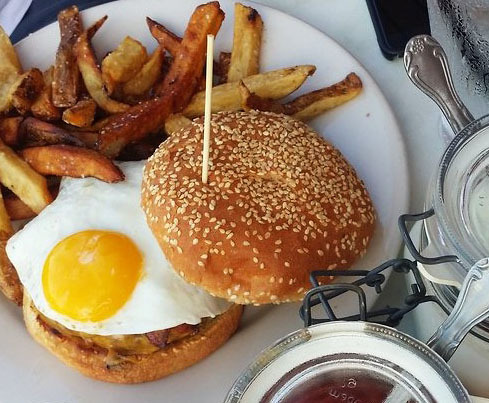 Cure your "head cold" with the Hangover Burger at the Peddler's Daughter. The Peddler's Daughter offers three distinctive crafted burgers that deliver equally on taste and uniqueness. The Ped's Burger and the Hangover Burger are the best choice for a classically crafted burger. Taste the gourmet with the Guinness Burger served with with a Guinness Bleu Cheese Pate, Lettuce, Tomato, Onion, Bacon, and Battered Onion Rings. Vermont Cheddar, and Bourbon Onion Straws. Don't pass up the Macho, Macho Man with a Cracked Black Peppercorn encrusted Patty, Blue Cheese crumbles, Bourbon Onion Straws, extra Machismo no charge. For a burger worth the drive, make your way to Moat Mountain Smoke House & Brewing Co for a 1/2 pound of deliciousness. Choose the Chili, Cajun, and Black Pepppercorn & Bacon Burger for a bit of spice and heat. If you're a fan of sliders and food in smaller portions, order the Burger Slider Trio served with Cheddar, Bacon, Chipotle Aioli and Cajun Fries. Visit downtown Manchester, NH for a burger well-deserving of a "crown". The eatery offers simple yet sophisticated menu items including The Crown Burger. The meal is served with two All-Beef Patties with American Cheese, Special Sauce, Lettuce, Tomato, Bread & Butter Pickles and Fries. Optional burger add-ons are Eggs, Bacon, and extra Patties. 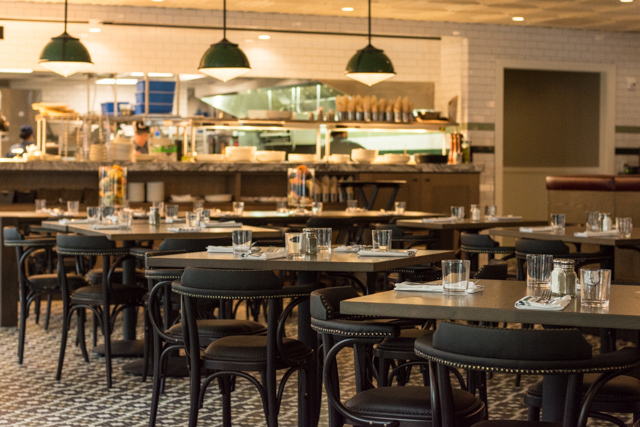 The Crown Tavern's bistro-like ambience is the perfect setting to enjoy a gourmet burger.